Baskets have been used for thousands of years for thousands of different purposes… they can be as unique as their individual owners. 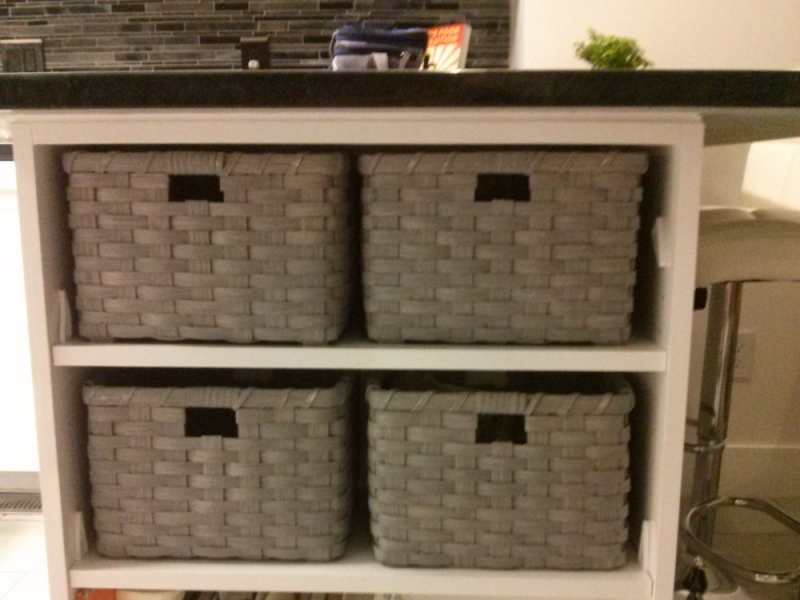 Joanna has designed and woven many custom-sized storage baskets for shelving units, hutches and benches. 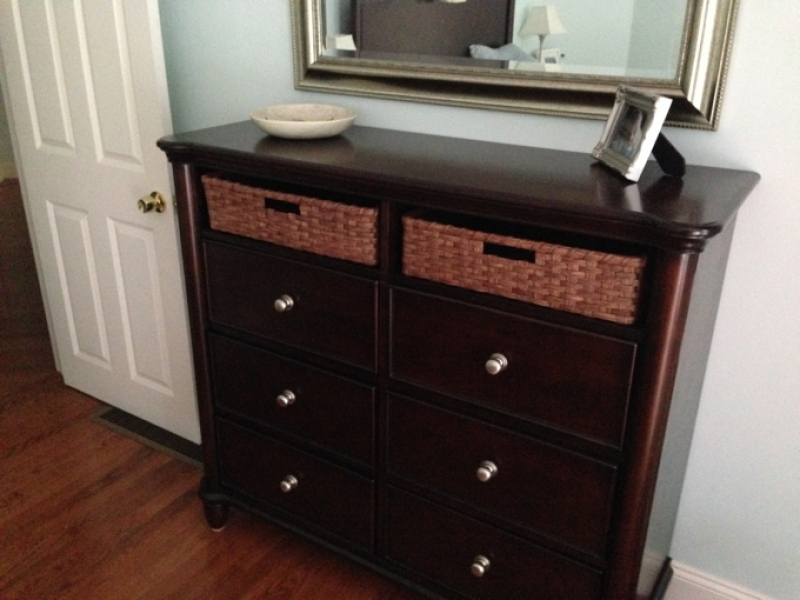 She has made triangular baskets for cabinet makers and under-bed storage baskets for day-beds. 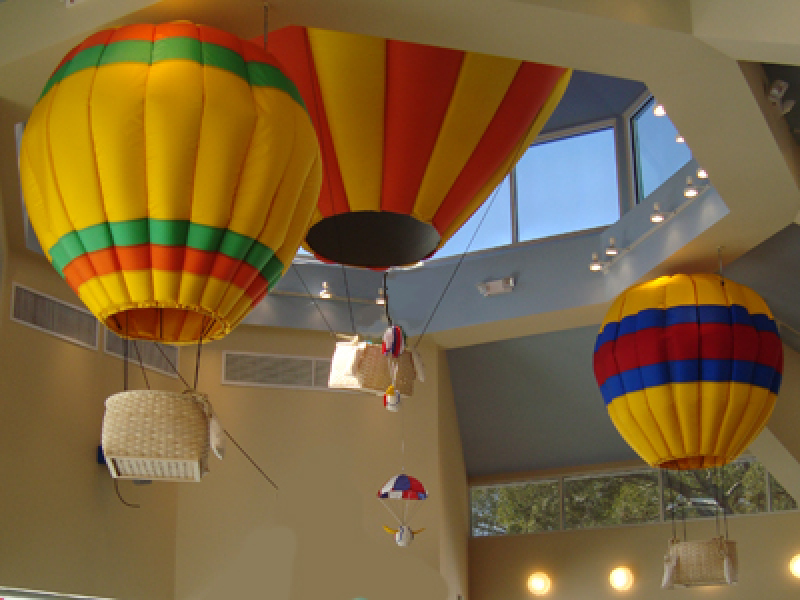 She has woven hot air balloon baskets for theme park displays and intricate flower girl baskets for weddings. 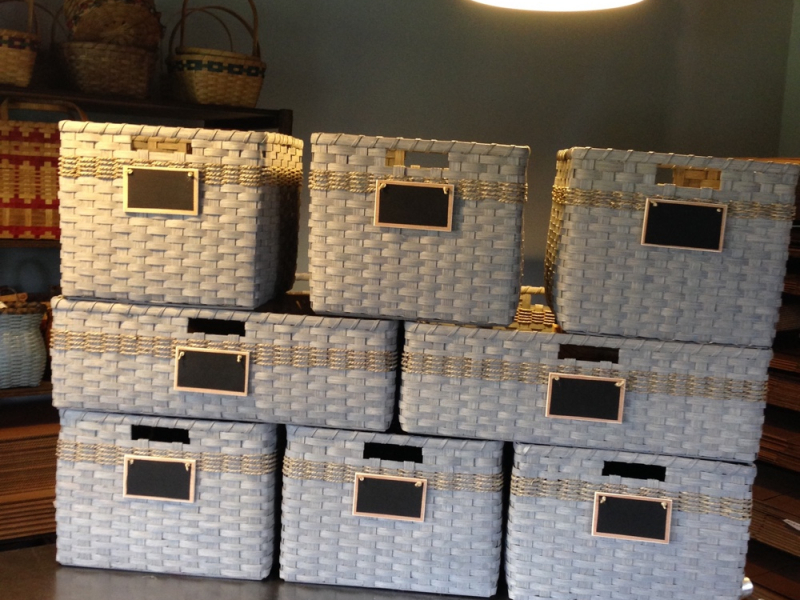 She has created carrying baskets for a personal chef’s catering service and one-of-a-kind baby baskets for photographers. We will get back to you and possibly design something new to fit your exact specifications. Joanna loves new ideas and challenges. When contacting us about arranging a custom order, read through the following tips and then launch the custom project estimator. Joanna uses a computer program to calculate the price for each piece, so email is the best way of communication to protect against transcribing error in the dimensions. Cost is calculated according to size. 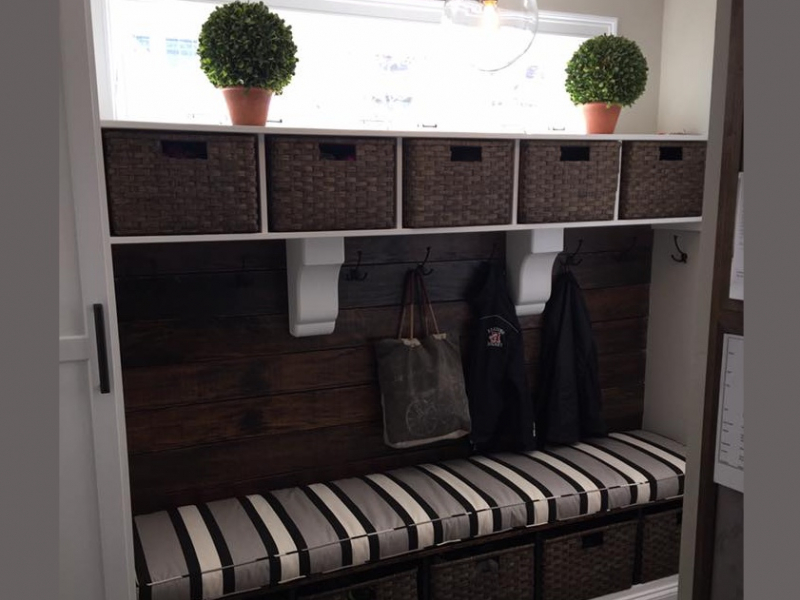 Record the dimensions of the cubby or shelf where the basket will go, then subtract ½” from each side, ½” from the top, and ½” from the front-to-back measurements to allow wiggle room for the basket to slide in and out of the space. 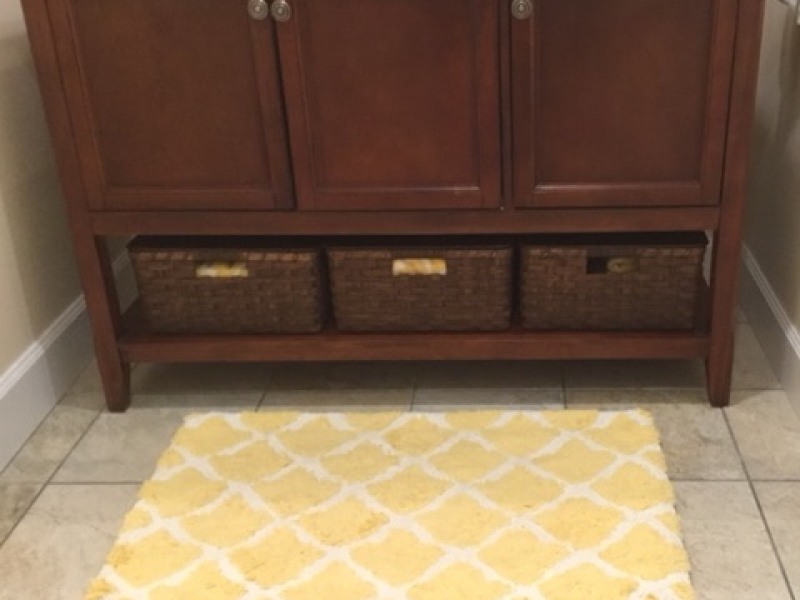 Please be careful to submit the sizes of the baskets you'd like, not the size of the spaces the baskets will fill. 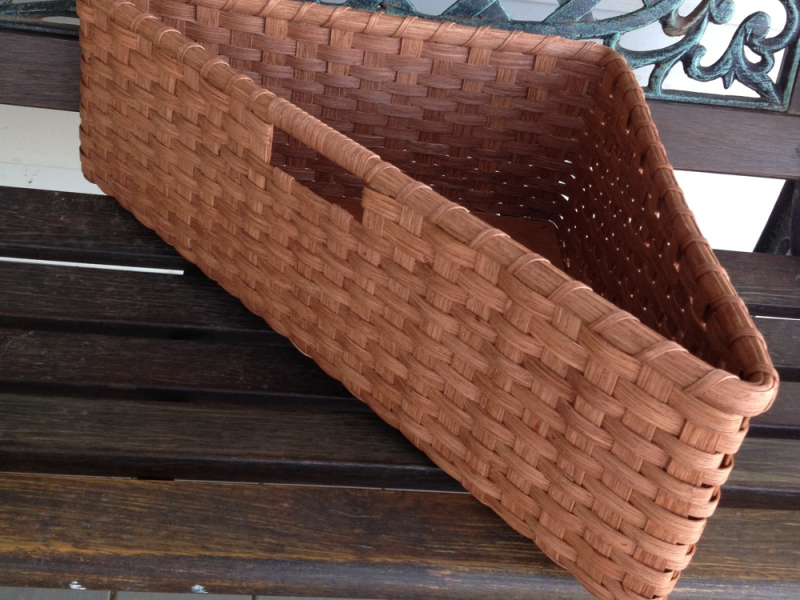 Baskets with larger dimensions are constructed on a wooden base to ensure the stability of the basket. The need for that base is determined when we create the pattern for your order. 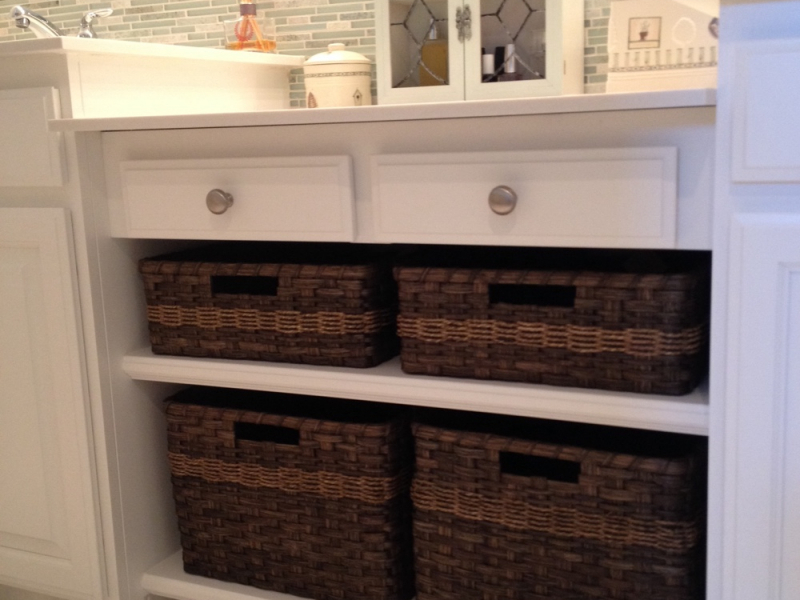 Handle holes can be woven into the basket based on your preference. 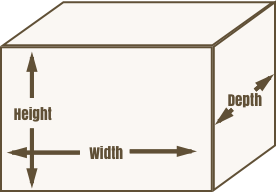 Please indicate on which sides (the width sides or the depth sides) the handle holes should be placed. Visit our Colors & Finishes page to see the available water-based and oil-based stain options. 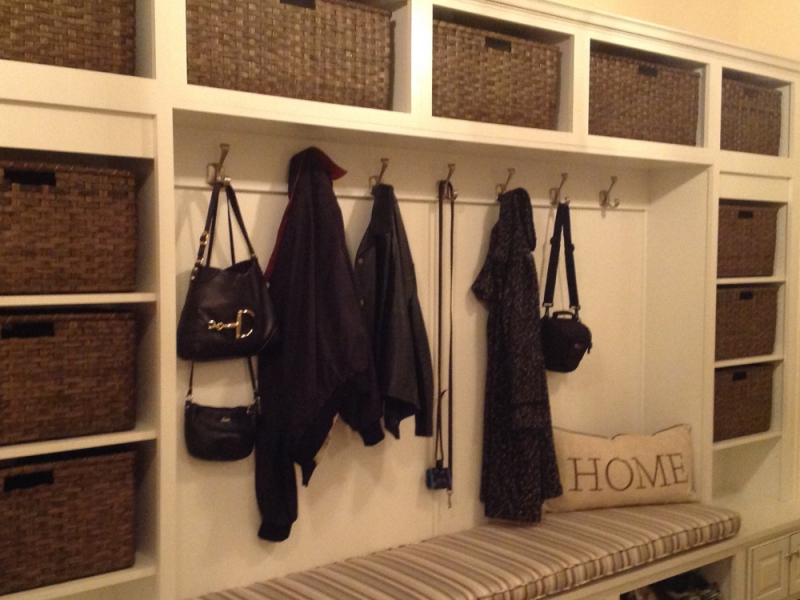 Customized stain options are available at additional charge. Please visit the Minwax Stain Color Guide website to choose from the wood finish or water-based stain options. 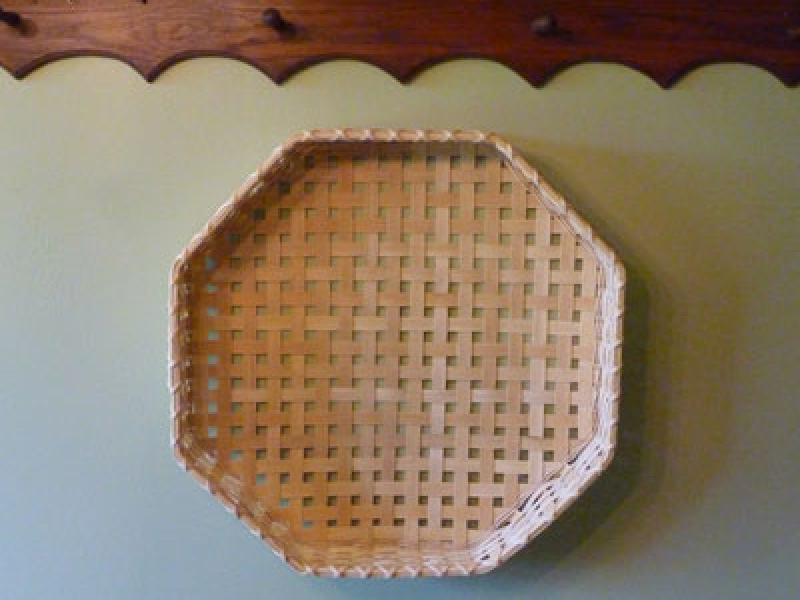 We dry each custom basket in a wooden frame to ensure the correct shape and size of the piece. 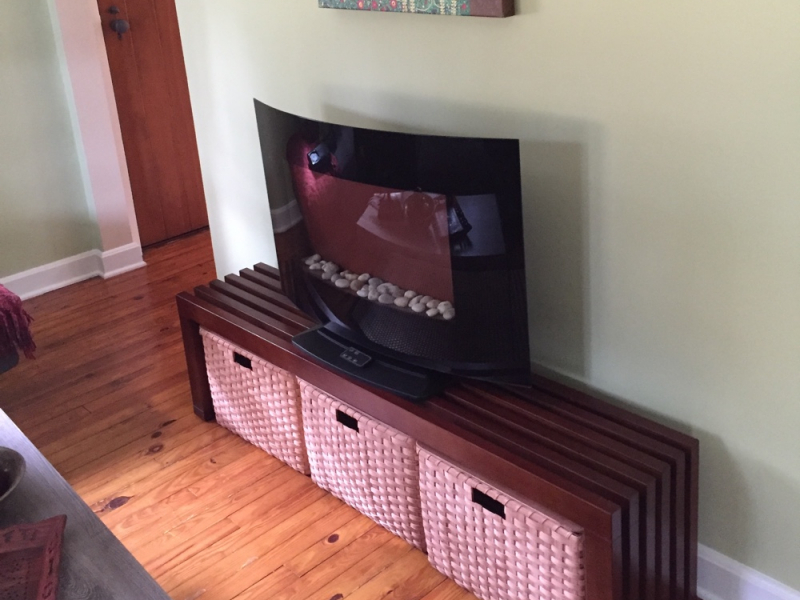 The drying time varies depending on humidity and stain choice. Most orders take at least 4-5 days after staining to dry enough to ship. 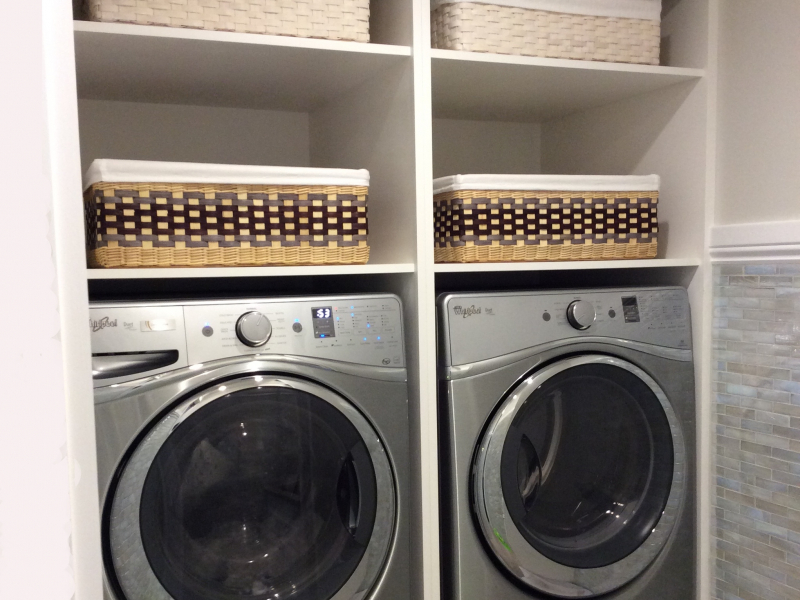 Oil-based stains do have an odor that dissipates as the finish fully cures in the drying process. 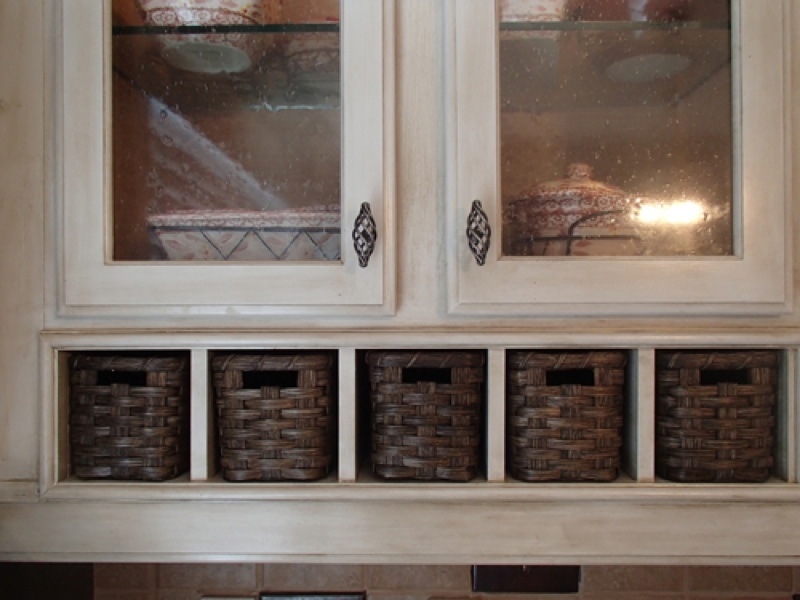 If your basket still has that odor, place it in a breezy, sunny spot to hasten the curing process. Shipping costs are calculated according to each piece/order. Some larger pieces (girth + length that exceeds 84 inches) usually cost a minimum of $30.00 each to ship. That is exactly what the Post Office charges us. Additional design features are available for discussion. Feel free to present your ideas, and we’ll work together to achieve your customized request. 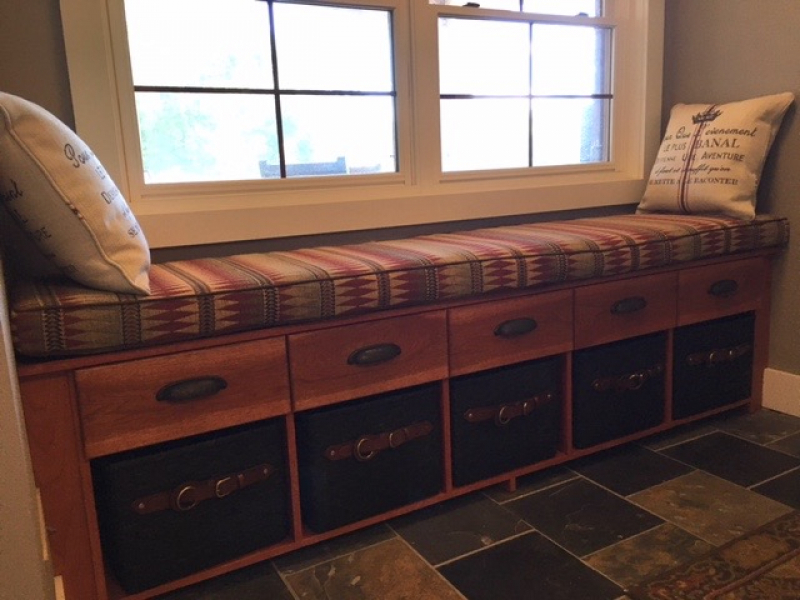 Please visit our basket blog for more pictures and examples of custom work, and thank you for your interest.